Plenty of Leap Day's have come and gone on my calendar, and I couldn't tell you what I've done for any of them. Except for today. But if I'm not careful, it's going to get fuzzy because the whole stream of events from 6 p.m. until 9 p.m. is starting to feel like a dream. Thanks to Nike, I know I'm not dreaming and I got one heck of a Leap Day. 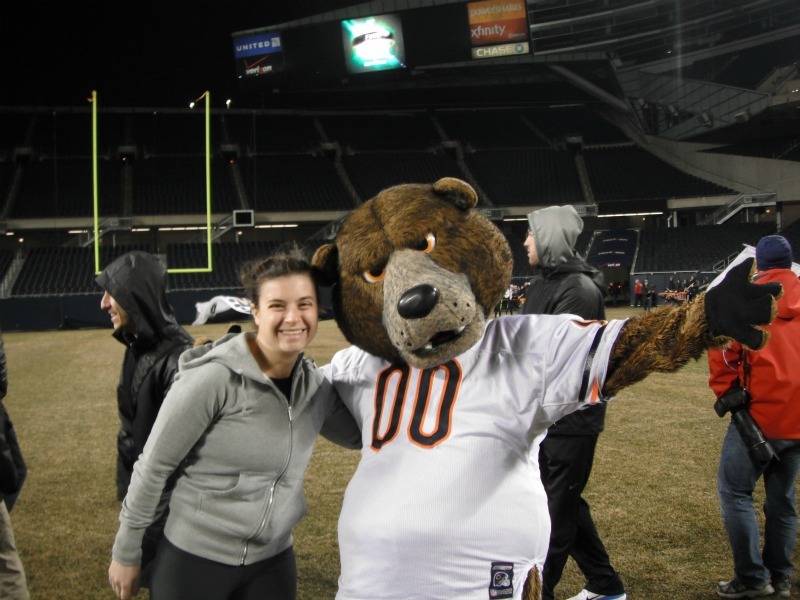 How can you pass up a picture with Staley the Bear? Even if you look a little too giddy. Invitation appears in inbox. Mystery package, complete with outfit for the evening, arrives in lobby. Nike+ FuelBand is introduced. SUVs whisk us to Soldier Field. Robbie Gould greets crowd. We run onto the field like a Chicago Bear would for the home opener. We learn football foot drills. We catch passes. We attempt field goal kicks complete with tips from Gould. We stand under the bright lights of the famed field during an experience that likely will never happen again. SUVs whisk us back to original location. We sync, we eat, we dance (or learn how). We head home, in awe of what just happened. 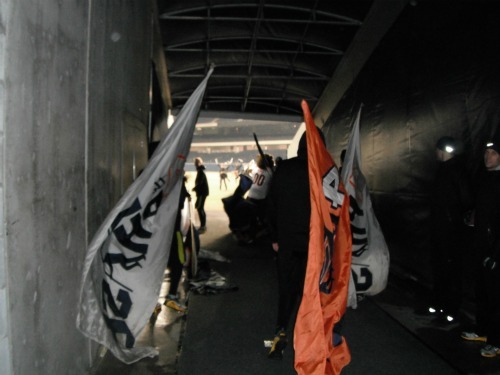 Running out of the tunnel onto the field before posing with Staley above: priceless. More details to follow, but give me a day or so. I'm going to need to pinch myself tomorrow on March 1 because right now, I'm wondering if February 29 even existed. If not, it was one heck of a dream.